The Newest round of The Mens Dept opened up yesterday and there are some really cool things for you guys and girls to pick up. Featured here is the N4RS Vondel Park Bench. It is available in either a galvanized and rusted look. 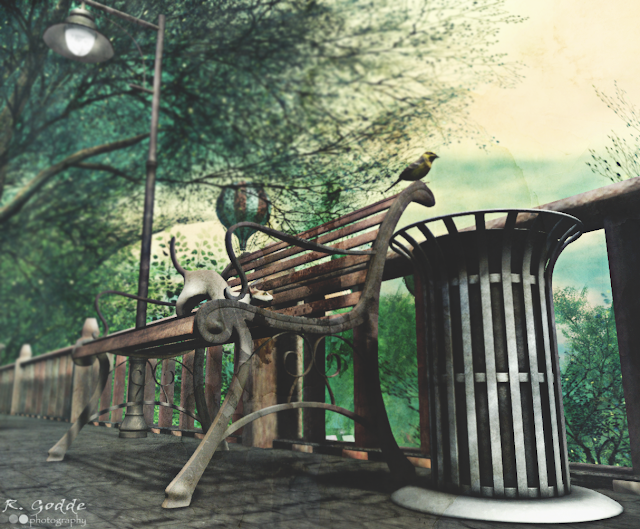 The set includes the street light with and without beam, the bin, and the bench. Check out the demo at The Mens Dept and pick a set up for your place or business. The photo was taken at Hesperia of Templemore which is now inviting you to live a premium lifestyle and be a part of its trendy upscale residential community. See Luis Lockjaw for details or visit the sim!